A pair of strong victories over the weekend have helped stabilize the USC men’s basketball team after it underwent a bumpy start to Pac-12 competition this season. A 20-point scoring effort from senior guard Jordan McLaughlin propelled the Trojans past visiting Colorado on Jan. 10, 70-58. The victory over the Buffs was followed up by an 84-67 USC routing of Utah on Sunday, a game which saw the Trojans hit a season-high 14 3-pointers as a team. USC’s (13-6) weekend sweep at the Galen Center improved it’s conference record to 4-2 this season and moved it into a tie for second-place with UCLA in the Pac-12 standings. The Trojans will look to extend their conference winning-streak to three games Thursday night, as they travel to Eugene to take on Oregon (12-6, 2-3). The Ducks, who are coming off a 90-83 loss to No. 14 Arizona, are led offensively by sophomore guard Payton Pritchard (who is averaging a team-high 15 PPG). Pac-12 losses to Arizona (Jan. 13), Oregon State (Jan. 5) and Utah (Dec. 29) have dropped Oregon to a 2-3 record in conference play this season. The Ducks currently find themselves situated at eighth in the Pac-12 standings. USC was swept in its series against Oregon last season, losing both games in double-digit fashion. When the Trojans traveled to Oregon last season, they returned with an 84-61 blowout loss to the Ducks. USC has not won a road contest against Oregon since the 2008-2009 season. McLaughlin, who leads the conference with 7.6 APG this season, is also averaging 13.2 PPG and has been the main offensive cog for the Trojans all season long. 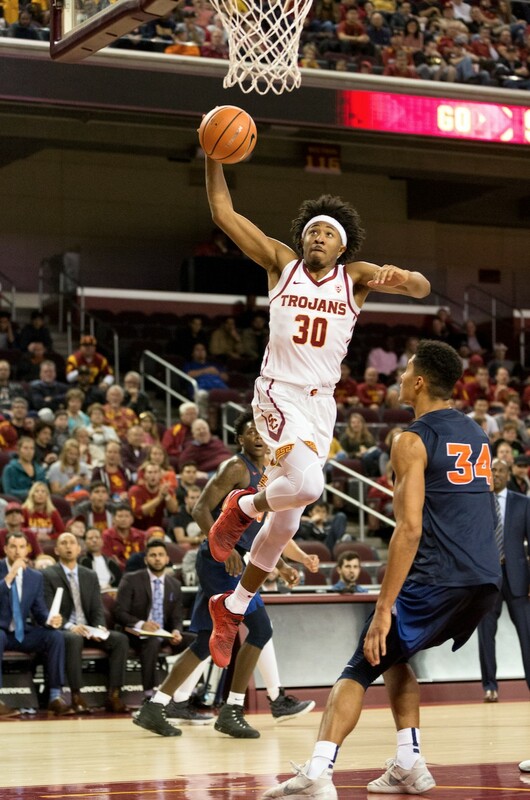 USC will look to McLaughlin to feed the other three Trojans scoring in double-figures this season: junior forwards Chimezie Metu (team-high 16.7 PPG) and Bennie Boatwright (15.4 PPG) and senior guard Elijah Stewart (10.9 PPG). 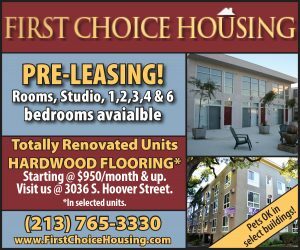 After losing to Stanford back on Jan. 7 in the most devastating of fashions (allowing a 55-foot 3-pointer as time expired in regulation), USC has responded resiliently by racking up back-to-back conference victories, both by double digits. After doing battle at Oregon on Thursday night, USC will proceed to play Oregon State (10-7, 2-3) in Corvallis on Saturday. Following a rocky non-conference outing this season, USC will have another opportunity to continue its upward trek in the conference standings this weekend. A successful weekend sweep of the Oregon schools would have the Trojans flirting with the top spot in the Pac-12 standings.